NEWS FLASH: Steve Morse will be joining Joe Satriani and Steve Vai for a G3 tour of Europe this summer. Confirmed dates are below. I'll post more dates if they are announced. Music Radar has a new interview up with Steve Lukather. Luke discusses his upcoming tour with G3 (which will include Joe Satriani and Steve Vai), and more. Things seriously picked up on day two of the 2012 Winter NAMM show. More attendees, more celebs, more everything it seemed. Tons of great players made appeances, including Guthrie Govan, Steve Vai, Eric Johnson, and others. On the gear front, I saw lots of interesting stuff, but was particularly taken with the boutique stomp box company Jam Pedals. Based out of Athens Greece, all of their pedals are analog, hand made and hand painted, with some of the most unique designs I've ever seen - no two pedals look exactly alike. And they sound great too; from the demos I heard, the Delay Llama really stood out, as did the Rattler distortion box. Very cool stuff. New for 2012, the Ibanez AM73B was my favorite guitar of the day. It plays like a dream, and the flat red and tobacco finishes both look great. Plus, this thing is a steal at only $523 retail. Looks like a really cool choice for a not-quite-straight-ahead jazz guitar. After a long day at the show, I headed to Alva's in San Pedro to see OHM and Polcat. Both sets were fantastic; look for a separate post with pics later. On to day three! I'm getting ready to tackle day two of the 2012 Winter NAMM show, but before I do, here is some of the coolest stuff I saw on day one. Carvin recently announced their new line of Allan Holdsworth HH Series guitars, and these were easily some of the best instruments I saw all day. These things feel rock solid, yet are surprisingly light due to their chambered, semi-hollow bodies. The set-necks are super smooth, making for easy access to the upper frets. The Carvin rep told me that Holdsworth came down to the factory the day the first prototype was complete, and loved it so much he took it home and used it exclusively on his next string of live dates. FYI - The man himself is scheduled to appear at the Carvin booth on Saturday. I also found the EVH Wolfgang line to be quite impressive. The Wolfgang Custom model I tried out was built like an absolute tank. In contrast to the Holdsworth Carvins, this thing weighed a metric ton, and had a similar feel to a Yamaha SBG IMO. The guitar has a loud sound that projects when you play it unplugged; a good sign. Definitely a rock-solid axe. The Orange OPC has been around awhile, but I checked one out yesterday for the first time and was really blown away. This cool piece of gear is essentially a computer and amp rolled into one unit. It's loaded with amp modeling and multi-track recording software, a DVD burner, USB and video outputs, the works. It can be used as regular amp if you like, though all of the sounds are produced through the amp emulation settings, courtesy of the built-in AmpliTube 3 application. Easily one of the hippest home studio solutions I've yet seen. Here is an updated list of dates for the 2012 G3 tour of Australia and New Zealand featuring Joe Satriani, Steve Vai and Steve Lukather. Whoa! 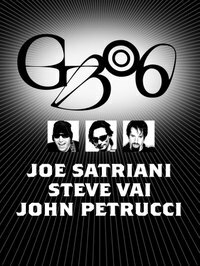 A new 2012 G3 Tour is in the works for Australia and New Zealand featiuring Joe Satriani, Steve Vai and Steve Lukather(!). They are currently scheduled to perform on April 6th at Australia's Byron Bay Bluesfest. I'll post more details as they become available. I really loved Theriot's last album The Grease Factor. His latest includes Sonny Landreth, Ritchie Hayward, and Adam Nitti among others. Includes Brett Garsed, Tony Levin, Marco Minnemann, Chad Wackerman, and many others. Sadites has some serious chops. Release date: 8/11/09. Guests include Steve Vai, Eric Johnson, Medeski Martin and Wood, and many others. Release date: 8/11/09. Follow up to Truth. Has anyone seen the cover art for this yet? Vince Lewis has written a nice review of Mike Stern's upcoming album Big Neighborhood for Modern Guitars Magazine. The album is scheduled for release on August 11th, and includes guests Steve Vai, Eric Johnson, Medeski Martin and Wood, and many others. The biggest, most anticipated and unrivaled guitar event of the year, The London Guitar Show launches on the 11th June to seriously Blow your mind! The four day show will bring, excitement, celebrities, inspiration and transform ExCeL into the coolest hangout in London! We can now announce a truly world class line-up of acts to entertain, inspire and wow the crowds starting with the Master Guitar Virtuoso himself, Steve Vai, who is to bring his Alien Guitar Secrets master class to the show. This is a 3 hour unique experience and once in a lifetime opportunity to hear Steve discuss music theory, guitar techniques, the music business, and most importantly, techniques on how to discover and unlock personal musical identity. Grammy award winning and undisputed king of country picking guitarist, Albert Lee will be playing London Guitar Show. With his unique sound and style, Albert’s has worked with some of the world’s top artists from Eric Clapton to Bill Wyman.His own solo career with the Hogan’s Heroes, has seen him win countless awards and nominations. Also confirmed is the critically acclaimed band, Swans in Flight. Their debut album launched in spring 2008 and was recorded exclusively using acoustic guitars, featuring thirteen guests ranging from James LoMenzo (Black Label Society/Megadeth), Kip Winger (Alice Cooper/Winger) to Phil Johnston (The Robert Plant Band). The band have already played a range of major festivals and they’ll be bringing their guitar charged rock to the London Guitar Show with special guest bass players Marco Mendoza (Thin Lizzy/Whitesnake) and the King of Metal funk, TM Stevens (James Brown,The Pretenders). Continuing the tradition of staging a wide variety of killer guitarists, Jan Akkerman will be astounding the audience with high-speed pyrotechnics and distinctive sound. He’s been top of his game for decades playing in Dutch band Focus and then going on to work with everyone from BB King to Ice-T! Truly unmissable will be one of the world’s best players, UK guitar legend Phil Hilborne with his band featuring Iron Maiden’s Nicko McBrain. They will once again hold court on the main stage on Saturday and Sunday for an amazing concert and Steve Vai will join Phil & Nicko on stage for a couple of tracks of jamming therapy. It doesn’t stop there as we are proud to be staging the final Guitar Idol, the world’s biggest online talent search to find the hottest undiscovered guitarists on the planet. Following 2008’s spectacular final where the winner flew in from Brazil, this final is the chance to live the dream after many of the finalists from 2008 attracted recording, endorsement and lucrative tour deals. Check out http://www.guitaridol.tv for the latest news and follow the heats on who’s going to have the honour of playing at the London Guitar Show! New to this years show, will be a chance to have a free guitar lesson in association with the Institute for Contemporary Music Performance and the organisers will be announcing an action packed schedule of seminars, workshops, artist signing sessions, instrument demonstrations and celebrity appearances. Already they can announce an opportunity to meet editors from the UK’s top selling guitar magazines Mick Taylor (Guitarist), Neville Marten and Jason Sidwell ( Guitar Techniques), Stephen Lawson ( Total Guitar ).There will be a new retail section offering the chance to buy the very latest gear, plus an exhibition of over 300 companies of musical equipment, including a New! British Builders section, where you can see some amazing hand build guitars and drums from the UK’s best builders. 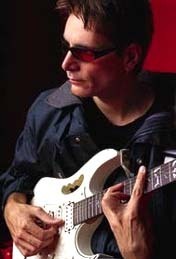 In the final installment of their G3 interview series, Ultimate-Guitar.com has posted an interview with Steve Vai. He talks a bit about his writing process, his gear, and of course G3. The Australian has a review of Wednesday's G3 show in Brisbane. It was the opening night of their current Australian tour.